Corporate lawyer Amir Kapoor is living a wonderful life: he is happy, in love with his wife, and about to land the biggest promotion of his career. But when he briefly helps his nephew with a case defending a man of Muslim faith, Amir’s career and personal life begin to slowly unravel. When Amir and his artist wife, Emily, host an intimate dinner party with their two colleagues and friends, he begins to realize that the life he has built for himself may be a façade. Does achieving a Western ideal of happiness mean that Amir has denied his true Pakistani heritage? The friendly dinner party soon escalates into an intense conversation involving religion, race and violence. Accusations are spoken, truths are revealed, and Amir’s life will never be the same again. 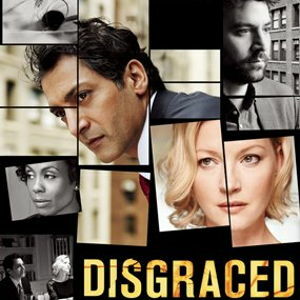 The Pulitzer Prize-winner for Drama in 2013, Disgraced questions whether we can ever truly escape the confines of our upbringing and our heritage.